When it comes to relationship marketing you have several options that can help you perform this task. One way to do this is by building a relationship with your customers by asking for feedback and then when you know they are happy to ask them for referrals. This method works very well and can help you attract new business daily. By asking your customers for feedback you can gain some insightful information into the workings of your business. While you may not always like what you hear, it is important to take actions and rectify any major problems that your customer may have experienced. You may be unaware of certain problems, because you aren’t your own customer. Being open to listening to the insights of your customers is very powerful in allowing you to see things ‘through their eyes’. These people have actually bought and used your product or service so they are qualified to make judgement. You don’t have to ask every customer for feedback. From time to time you should ask for feedback or even create a survey for this purpose. You could even offer a discount or coupon to those who take the time to complete the survey, as an incentive to reply to your request. Pay attention to the feedback and follow up by asking further questions, if necessary. 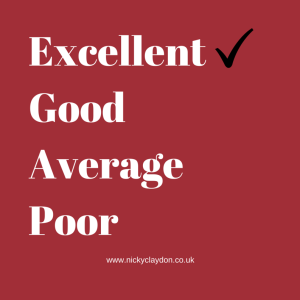 You may notice a common theme amongst all the feedback, this can help you identify any weak areas of your business and enable you to rectify any problems which may deter people doing business with you in the future. Next on to the important subject of referrals and how they can help you build your business. How many times have you found yourself recommending a product or service to someone? Word of mouth referrals is a great tool to utilise for your business. Now you have ascertained that your customer is happy with you, after obtaining their feedback, it is the perfect time to ask for a referral. Most people have some type of network and it only takes one person to recommend a product to another person for your network to grow. Take a look at Facebook for example, how many friends do you have? At least 100 or more? You don’t think twice about sharing something with all of your friends, when it is something you really like. This is the type of concept you want to have in place for your business as it doesn’t cost you anything – IT IS FREE! If you can develop a good relationship with just one customer, you can gain access to their network of friends. Of course all of these people they know aren’t going to become customers or clients, but you might find one or two will and really that is all you need. You simply work on building a relationship with these and then ‘rinse and repeat’ the process. Don’t delay, start working on asking for feedback and referrals for your business . Both of these are fantastic tools that can help you quickly grow your business exponentially.